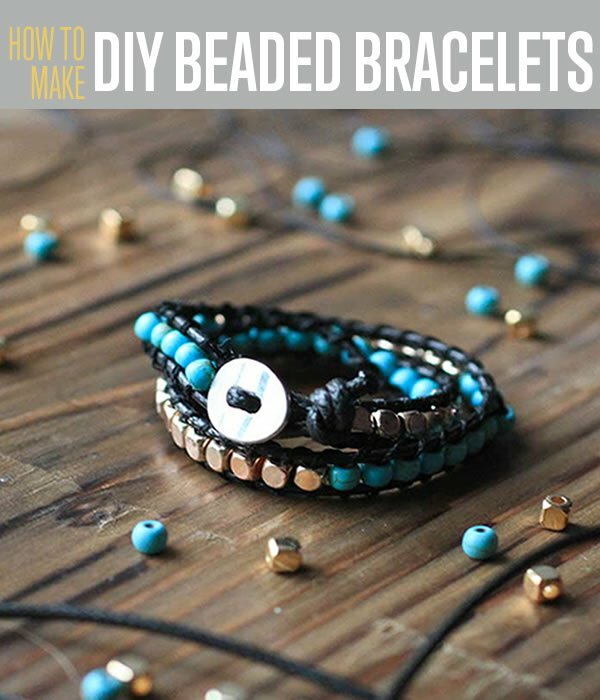 Love the look of beaded bracelets, but can't find the right one that fits in your budget? I love the way wrap bracelets look, but couldn't ever find one that was just right. So, of course, I did what I always do and learned how to make a DIY beaded bracelet of my own. It was actually a lot easier than I expected so I thought I'd share with you all how to make this beaded wrap bracelet too. DIY jewelry making is one of my favorite new pastimes! I've now made a few of these cool bracelets for myself, and also given a few as last minute DIY gifts. Glad you enjoyed making it Lydia! Hi I recently received this diy bracelet kit and started working on it, but stepped away for a few minutes and my 2-year old cat ate up half of the thread! Lol. She’s ok, but I want to purchase some more thread but don’t know what type of thread to buy. I know it’s not Superlon/S-Lon or C-Lon, as the thread is smoother and a little more thin. Can you please let me know what type of thread is in this kit? Oh my, I do hope your cat is alright! The thick chord is a 1mm waxed cotton cord. I started the bracelet, but when I got to the turquoise beads the holes are too small for all the threads to go through. I have a bead reamer, but it won’t fit in the holes either. Do you have any turquoise beads with larger holes?? Hi Gloria! I recommend using needle and thread for adding the beads. You’ll find they fit much better this way. I am using a needle and the thread provided, but will not fit through the hole, HOLE IS TOO SMALL. What size is the thread you are using? Hey. I started making mine and it says there are an equal amount of beads, but I have more time beads than turquoise. How many should Ihaveand how do I get more so I can have a complete kit? Received my bracelet kit today. The bag with the beads had a hole in it so the beads were all over in the box! Had to did them all out but I do not have enough to do the bracelet as some of the bead had fallen out of the box after getting under the box flaps. Any way to get some more beads from you to do my project? You also asked about what kinds of beads we would like….I think it would be very pretty in a couple of shades of purple and lavender.